METALWORK: Provided is a LIFETIME LIMITED WARRANTY, from effective date started herein, on all metalwork and framework, to include welding and the applications of materials utilized in making collision repairs against cracking and flaking, pitting or deterioration, excluding rust repairs. PAINTING, STRIPES AND DECALS: Provided is a MANUFACTURE’S WARRANTY, from effective date stated herein, on painting-related priming and paint work against solvent blistering, peeling, hazing, and excessive loss of pigmentation, and a MANUFACTURER WARRANTY on the application and adhesion of decorative stripes and decals. MECHANICAL REPAIRS: Provide is One (1) Year or 12,000 MILE LIMITED WARRANTY (whichever comes first), from effective date stated herein, on all mechanical repairs retaining directly to original collision damage. PARTS: Provided is MANUFACTURE’S WARRANTY, from effective date stated herein, on new parts installed by or at the Shop. SECTION 1-4: The Shop will repair, repaint, or replace or replace any items in section 1-4, when claim is made while the present owner stated herein owns the vehicle, unless caused by or damaged resulting from unreasonable use, maintenance or care of the vehicle. This WRITTEN WARRANTY shell be null and void if the repairs are altered, adjusted or tempered with by any person not authorized by Warranty Grantor. SPECIFICALLY EXCLUDED: A Incidental costs, such as towing fees, car rental charges, travel expenses, or assemblies and components which are not specifically cover by this LIMITED WARRANTY, nor are consequential damage such as damaged to other assemblies and components resulting from a defective part or installation of such part installed or repaired during the repair. B. Rust… Surface rust, rust through, and/or of damage caused by rusting of interior or exterior panes is not covered. THIS STATES ALL THE LIMITED WARRANTIES made by the Shop and contains the only promise for which it will be responsible. CUSTOMER’S OBLIGATIONS: In order to obtain the benefits of this warranty, the owner of the vehicle must do the following: A. 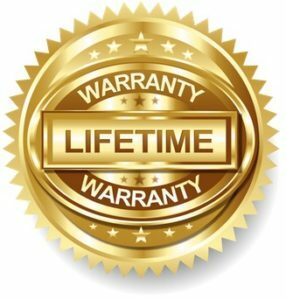 Present the owner’s copy of this warranty document to the warrant before requesting warranted repairs or parts; B. Have any warranted repairs, adjustment or inspection made only at the premise of the warrant-or during normal business hours.